Self-stimulatory behaviors (also called “stimming”) are things your child does to get extra sensory input when he needs it, such as hand flapping, rocking, biting himself, head-banging, or scratching himself. This article will tell you why it happens and how to help your child stop flapping and engaging in those other self-stimulatory behaviors. What Causes Flapping and Self-Stimulatory Behaviors? Self-stimulatory behaviors are common in children with autism as well as those with sensory-processing disorders. However, typically-developing children sometimes do these things as well. Just because your child is flapping or doing other self-stimulatory behaviors, it doesn’t mean he has autism. Many people see a child rocking or flapping and they think, “Oh, that child has autism.” That’s not always the case! These behaviors are caused by unmet sensory needs and can be found in all different types of children, even those without disorders. In fact, adults often engage in self-stimulatory behaviors. We have just found socially acceptable ways of doing them so that no one thinks we’re crazy. For example, when I have to sit in a long meeting, my foot starts shaking, I doodle on my paper, I take out a piece of gum to chew, or I stand up and take a trip to the bathroom to get some movement in. All of these things are because I have been sitting without much sensory input for too long and my body is asking to move. If you saw me at a meeting, you wouldn’t think anything of it because we all do little things like that. However, children don’t know how to get those needs met in socially acceptable ways so they tend to engage in self-stimulatory behaviors that are less common in adults, such as hand flapping, rocking, etc. These behaviors tell us that the child is not getting the appropriate sensory input that he needs at that time. It could be that he just needs to get up and move. Or, it could mean that his sensory processing mechanisms are confused and aren’t receiving signals the way they should be. If your child shows a lot of self-stimulatory behaviors, you may want to look into finding help for your child’s sensory processing needs. There are clinics that are devoted just to helping children with sensory processing. However, you can help your child stop flapping and other self-stimulatory behaviors many times by simply finding other ways to get those sensory needs met. Why Would I Work With My Child to Stop Flapping and Self-Stimulatory Behaviors? There are many reasons that you may want to help your child stop flapping or engaging in those other self-stimulatory behaviors. Some of them may be causing him physical harm, such as biting or scratching himself. Other things may call undue attention to your child which can cause him to have trouble making friends or engaging in social interactions. Other behaviors may begin to interfere with his education, for example if he is rocking or flapping so hard that he can’t focus on the teacher. Self-stimulatory behaviors by themselves are not necessarily a bad thing, but the side effects caused by them can be difficult for a child to cope with. **Please note: There has been some concern that this article is intended to say that all stimming is bad and should be stopped. That is not my intention and it is certainly not true. This information is to be used for a child who needs to stop a self-stimulatory behavior because it is either self-harming, interfering with a child’s education, or preventing him from making friends if he wants to make said friends. If a child is stimming but is not bothered by the stimming and is still able to function well in day-to-day life, then there is no need to replace the child’s self-stimulatory behavior with something else. Self-stimulatory behaviors should not be stopped just because it will make the child look weird if the child is not bothered by it. However, if the child is embarrassed by his or her stimming and wants to stop, there should be information available to show that family how to help the child. That is what this information is for. This part can take some practice so have patience and contact someone who has experience with sensory processing or special education if you need help. The first thing you must do is identify what the behavior is and what sensory need it is meeting. For example, you may identify the behavior as flapping, rocking, biting, etc. Then, write down all of the times that you notice that behavior happen for a while. Make note of what your child was doing before, during, and after the behavior. You may notice that your child always starts doing the behavior when he’s been sitting for too long, when he’s tired, or when he’s excited. Also, make note of what sensory input your child is probably getting from that behavior. For example, if your child is flapping his hands, he is probably getting sensory input in his fingers. If he is rocking, he is probably receiving sensory input about balance and where his body is in space. Take some notes that will help you come up with some ideas of other behaviors you can try to replace it with. What you will want to do now is try some other behaviors that will replace the self-stimulatory behavior but that are safer or less distracting. Keep in mind that your child’s new behavior may not look entirely normal either, but we are going for more safe or less distracting. Once your child gets used to the new behavior, you can always try to teach him a more normal-looking behavior later. You will want to several different replacement behaviors to find what works best for your child. 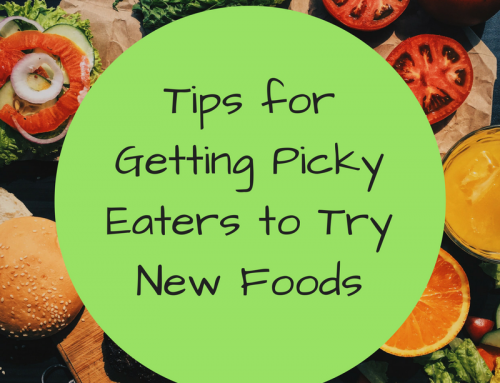 Keep trying them until one seems to stick or resonate with your child. Use this chart to determine which replacement behaviors might be appropriate to try with your child based on the information you collected during the last step. Offer alternative seating for the child, such as a chair vs. floor, sitting on a pillow, sitting on a small exercise ball, etc. Have your child rock side to side instead of front to back. This looks more like swaying along to music than the traditional rocking. It’s also easier to keep his eyes on the teacher this way. Have child wear a tight vest or shirt. They make special sensory shirts that hug the torso with gentle pressure. Have your child request a break to go roll on the floor. Or, roll him up in a blanket like a burrito. He may miss a few minutes of whatever you were doing, but it will be worth it if he can focus when he gets back. Replace with giving your child something to chew on. They make special jewelry that is designed for children to chew on, even big kids! Offer your child a bite to eat or a piece of gum. Offer your child a chewy, sour candy. This can alert the senses in the mouth. If your child doesn’t respond to the mouth techniques, maybe he needs the sensory input in his arm. Try teaching him to squeeze his arm in that place or you can do it for him. Try offering your child some deep pressure when he does this. That means, tight squeezes all over his body. You can also have him lay down and roll a big ball over his body. I’ve even lightly squished a child between two bean bags. Your child will tell you with his actions if he likes it or not. Don’t keep trying something he’s not comfortable with, but one of them may work. Keep trying until you find one (or a few) that your child seems to respond well to. You may have to help your child do these things or do them for him for now. If your child is able to do some of these strategies on his own, keep showing him how to do it and then let him try by himself. Keep practicing until he can do it with just a verbal reminder. Then, every time he starts doing the prior self-stimulatory behavior, remind him to use the new strategy. If it is a strategy that your child cannot do alone, teach him how to ask for the strategy to be done for him. For example, if the strategy is to go take a movement break where he gets rolled up like a burrito, have him verbally ask for a break. Or, have him go find a “break card” (I use a red square with an X on it) and hand it to you. You can place these strategically in places he may need it. If your child is not able to request these techniques at this time, that’s ok. Just keep doing them for him but keep talking to your child about what you’re doing and why you’re doing it. He may start to pick that up on his own and eventually ask for it. Keep working on these replacements and hopefully you will make the new behavior just as strong as the old behavior was. Good luck! Don’t forget to use the social media buttons below to share this with others! Hand flapping and other movement type of behaviors that are sensory based can self-stimulating due to an under aroused central nervous system. Other times these behaviors may be related to an over aroused central nervous system and the behaviors are due to an effort to self-regulate or calm the CNS down. Para-sympathetic to sympathetic state and Sympathetic to para-sympathetic state. Under arousal to optimal arousal or over arousal to optimal arousal. The challange is to determine the state of the central nervous system and introduce sensory based activities that help provide “optimal arousal” over the duration of the day. Ie Sensory Diet. If a modulation problem is present, regulated sensory activities are necessary so the CNS does not become overloaded and either under arousal OR over arousal occurs. An experienced OT, SLP, PT trained in sensory processing can help identify sensory processing dysfunction and implement an custom sensory diet that will help provide optimal sensory arousal for active learning. Thank you, Paul! What wonderful information! Parents, seek help from an occupational therapist like Paul who has extra training in sensory processing! These guys and gals can be so helpful!! His hand and only realizes he has done it after its over. That can be so hard! 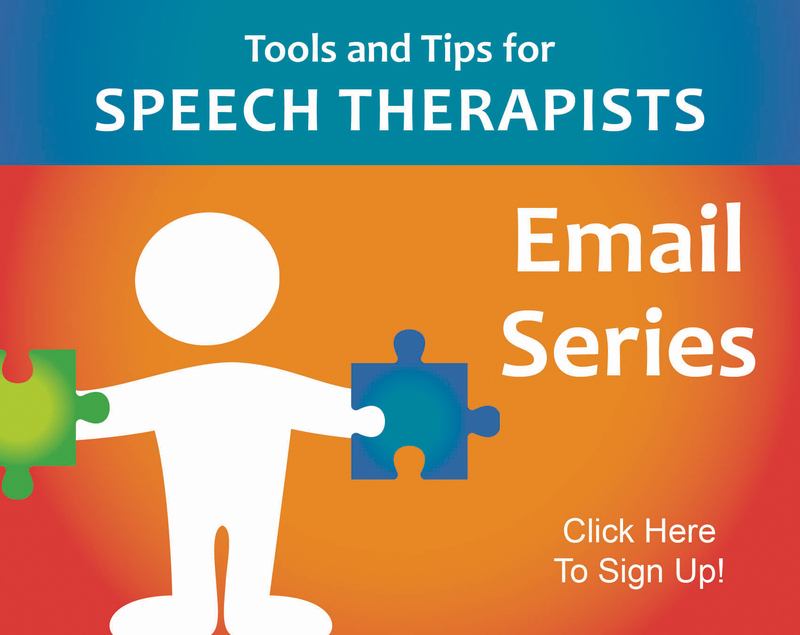 I suggest working with an occupational therapist in your area who can help with specific strategies! Thanks so much for this information it is by far the most helpful & well explained article I have found on this topic. I have been doing a lot of research on it lately as my 4 & 1/2 tends to flap his hands lean back & stretch out his legs when engrossed in activity like playing with his trucks !sometimes he also repeats a phrase over again like “mummy I love you ” whilst flapping it seems to come on more when he is tired or excited .. other than that he is a completely normal 4 year old & met all of his developmental milestones as a baby . he used to jump up & down & flap when say peppa pig came on but now it is pretty much just refined to being engrossed in deep thought or activity. I was just wondering what the difference is between complex motor stereotypy & sensory processing ? Unfortunately, I’m not going to be able to answer that question. I am not familiar enough with the area of sensory development to know all of the ins and outs. This article is pretty much the extent of my knowledge. I recommend you find someone with special training in sensory development, such as an occupational therapist. Joan- yes curious what happened with your son. Mine is the same age and same problem. What about head banging? What about rubbing head on floor and/or objects? Yes! The same approach works for this! Try some replacement behaviors and see which ones might work to get the same need met. Maybe try giving him a tight hat if it seems he needs extra stimulation on his head. Or maybe try some swinging type movements if it seems he needs the back and forth input to his head. Just keep trying stuff! Good luck! We had twins who did the head banging, It was terrible. We got the great hint from a foster parent that children who bang heads can be greatly helped by any jumping exercises. We tried it by putting a full size mattress on the floor of their room and let them jump all day for a few months. As often as they wanted they could jump/roll/etc. on that mattress. Within a few weeks we saw less head banging and within a month or two it was gone completely. Best wishes, I know how terrible it can be to see your child harming themselves this way. About the rubbing head on floor, we tied a long turban around their head and let the ends hang down their backs to add weight. It took care of the head rubbing. They liked the feeling of the pressure and weight. After awhile they would come asking me for it when they needed it instead of doing “funny” things with their heads. i have this kid in my class who very often enjoys taking a good swirl around and comes and sits down very happy and content. the turns he takes is so intense that for anybody else it would be a very unhappy experience . also he has this habit of holding and rubbing a crayon between his palms! It’s amazing what children will come up with to get their sensory needs met! I say if his twirling works for him, you can always teach him an appropriate way to ask for a break and show him where he can do it so that he won’t disrupt the rest of the class. You could also provide him with some sort of spinning toy, like a sit and spin, that would allow him to get that spinning movement during specific times of the day when it wouldn’t be distracting. Good luck! My child will often bite his hand, which I believe is for sensory input. However, I believe he is receiving input both orally and also through the feeling in his hand. He has developed a large callus where he continues to bite. The problem I am facing is he seems to do it all the time. There doesn’t appear to be a trigger. He will be watching t.v. and start doing it, riding in the car, working on homework, at a boy scout meeting, playing at a park, resting on the couch. Is there always a trigger or does my child just require constant input. We have tried sensory breaks, but it doesn’t seem to make much of a difference. We are frustrated because other kids are making fun of this behavior and don’t quite understand the issues. That does sound frustrating! Unfortunately, you may not always be able to identify a trigger. It could be a number of sensory factors working together. I would recommend looking into seeing a professional who would be able to offer more specific ideas for your son. An occupational therapist who works with sensory integration would be a great resource for you. Your local school district should have an occupational therapist on staff or know where you can find one. Our Son idoes repeated hand gestures with oral sounds that ccmpny the hmd movements. Like you guys, our son does not seem to have a trigger as he will do it at any time. He syarted the behavior at 5 and is now 11 and it is very exhausting and worrisome. Have u found any way to help your child? I just want to thank you for this insightful article. My son is a flapper ever since I can remember. During his toddler years, it was obvious that most people around us instantly associated it to autism. I took him to get tested and I will never forget the pediatrician’s words: “he is a normal child…don’t look for labels”. Furthermore, his therapist told us: “that’s just the way he’s wired”. We have learned to embrace his constant flapping when he gets excited, though as he ages kids are starting to ask questions. We have already tried many of the things you suggested (recommended by his therapist),but it ceases temporary. But nonetheless, this article is very educational and helpful in a subject which has little information out there. Thanks again! I’m glad that you found it helpful! Sometimes flapping can be a sign that the sensory systems aren’t working as they should so you should always be sure to get checked out by an occupational therapist or chiropractor specifically trained in sensory development. Good luck with your son! It’s quite possible that the peer pressure to may eventually quell it as well. Thanks so much for the chiropractor suggestion! Never thought of that. My 5 year old sounds a lot like your son and our pediatrician told us something similar. The difference Ive noticed with my son is that he flaps when excited, but he also does several other things when he is excited, anxious, or deep in thought or imagination. These things include tensing the muscles in his face, arms or hands and other fidgety things. He is in his final year before kindergarten and has never been in school before. He is behind in his writing, drawing and scissor use as well as other fine motor skills like doing his own buttons on his clothes. Otherwise, he is developmentally normal for his age…very social. engaging and bright. His preschool teacher is trying to make it into something that needs to be diagnosed while his pediatrician who has known him since birth doesn’t think there is anything to worry about right now. I’ve noticed when his stimming type behavior is bad, other kids are noticing and asking questions. I don’t think my son really understands or cares that he’s doing it… Im finding it hard to change the behaviors if he doesn’t feel the social pressure to as of yet. I am more bothered by it, I guess. We all need our sensory outlets to get through our day. Some children just have sensory outlets that are less socially acceptable than others. If your child’s pediatrician is not concerned and the behaviors are not causing problems, there may not be any need to address them. You can always address them later when the start impacting him socially. This is my five year old! Wondering what the last few years has brought you in terms of flapping and catching up fine motor wise. Mayra, I was curious if your son still flaps? My son is five years old and has just started kindergartener. He flaps and is developing typically. I might look into the chiropractor also but I wasn’t sure if you had any other information? Yes curious what the last few years have brought to the examples above. My son is right on point as well- developmentally normal except jumping and hang flapping when excited. His pre-k teachers referred us to get evaluated by the school but i feel like they are trying to label him when he is fine with academics and social interaction. Hi my name is sam and I never knew what it was or ment but I do hand flapping a lot almost on a everyday bases and well I been like this since I was 3 and im 14 now I never told any friends only my closes family (like at home) know but I dont think they know I still do it and it takes up so much of my life I just dont want to anymore and I wanna to stop but I always find myself doing it and I want to stop. So I guess what im asking is will I ever be able to stop or can only control it ? Hi Sammy! If you are trying to stop but are unable to, then it sounds like there is some reason that it continues to happen. If I were you, I would talk to your doctor or your parents about what’s happening so you can find a specialist who might be able to help. I’m sure that’s frustrating and probably scary since you don’t know why it happens. Just know that there are people out there who can help. You just need to find someone you trust to talk about it with! Good luck, Sammy! hi! Great article. 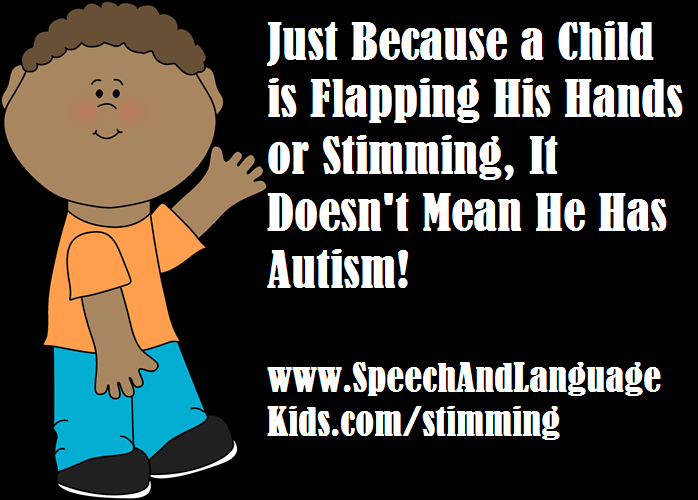 My son does alot of visual stimming – looking out the sides of his eyes or flapping his hands in front of his eyes. I have been able to identify when and why he does this, it seems to be in any situation really. We try to redirect but he is in a zone when doing this. Could you provide any suggestions to give him the visual input he needs in a more appropriate way? Thank you so much for such a great outline on this topic. My 6 year old daughter was just diagnosed ADHD and has sensory processing issues. I’m discover a whole world of ways to calm her and focus her and I wish there where more practical resources like this article. Even now I never would have connected “flapping” as a sensory need. I thought of it as behavioral because her favorite animal is flamingos and she said she flaps and runs like the baby birdies do after watching Disney’s doccumentery Crimson Wings. I figured it was her way of disconnecting from too much focused school work and wanting physical play and imagining being her favorite bird. Time to try all of your great exercises, maybe fidget toys that are even more stimulating then squeeze balls. And thanks to thecomment from Paul, such a quick but thurough explination that really makes me think of ways to help her, or atleast watch and pick up clues about her nervious system. My adult child has these weird behavior which seem to happen regularly. Excess scratching, funny sounds and twisting of the lips. Can a chiropractor help? I’m not sure, I would recommend you talk to a chiropractor or your child’s doctor. It could be something sensory-related or it could also be something neurologically based. Although I do like to present information on those topics when I have it, I am not an expert in those fields. My daughter is almost 3 and started talking when she was 14 months old. Her language skills have always been advanced for her age and even strangers are surprised when, after having a conversation with her, they find out she is only 2. She also has an incredible memory and a fantastic sense of humour. She has been attending daycare for 3 months and she found being away from me quite difficult. We have been approached by the daycare teachers suggesting we get her ‘tested’. Initially they said they thought she was gifted and now they have thrown autism into the conversation. This is based on the fact that she rocks from side to side on her feet, doesn’t always actively get involved with the other kids and likes a routine (the latter we find only really applies to daycare- she is fine with changes in routine otherwise) and doesn’t like loud noises. While I can’t explain away the shifting from foot to foot, I feel I can provide genuine non autistic reasons for the other behaviours that seem to be causing concern. Other than the above mentioned behaviours, my little lady is incredibly affectionate, loves kisses and cuddles, loves to spend time with her family, makes eye contact, engages while playing, loves to sing and dance, holds hands with other kids in her dance classes, hugs the dance teacher, can do role play and understands pretend play, understands when you are joking or teasing……basically, I would never have even considered Autism until the daycare people mentioned it. Now my concern is if we get her tested and she is ‘mis labelled’ because she ticks a few boxes on the autism checklist. Thoughts?? Unfortunately, autism can be over-diagnosed. Many of the symptoms that go along with autism also go along with other disorders. Social problems are a big concern with autism but many children have social issues without having autism. Also, sensory problems go along with autism. But once again, you don’t have to have autism to have trouble with your sensory system. What I tend to do is to treat the symptoms, not the diagnosis. For example, if a child comes in to me with sensory problems and social problems, I will treat what aspects of that I can (the language and interaction pieces) and recommend that the family see someone else for the sensory problems. In that situation, there would be no reason for the family to seek an autism diagnosis (even if that’s what it was) because there is no cure for autism and the treatment would not be any different if he or she had the autism label. 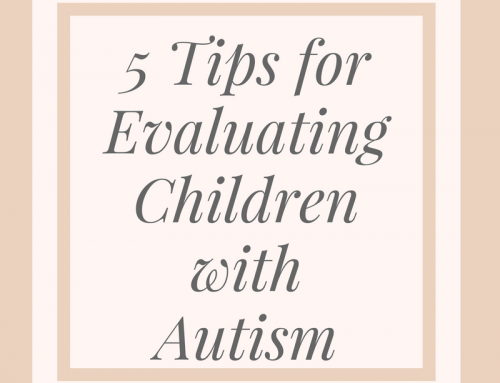 If you have a good autism evaluation center near you, ideally they would be able to sort out if your child really does have autism or if it is something else. However, I don’t feel that it would be necessary to get a diagnosis just for the sake of knowing what to call it. If your child is having trouble in certain areas at school, I would recommend seeking out professionals to address those particular areas and provide therapies or ideas for you. In general, my motto is “treat the child, not the diagnosis”. hello my 5 yr old son was diagnosed with PDD a month ago and he seems to do a lot of vocal self stimulation. How can I get him to stop? Hi, Sandra! Vocal stimulation is a tricky one. I would just try different replacements to see if you can stumble upon what need is being met with that. Maybe it’s the sound; you could try offering him some noisy play, such as playing instruments. Maybe it’s the vibration in his throat; you could try giving him a vibrating toy. Try various things like that. If none of that works, I would seek the help of an occupational therapist or someone trained in sensory problems. I am in Columbia, Missouri. I would talk to your child’s pediatrician to get a referral to someone who can help you with sensory processing. An occupational therapist would be a good place to start. Your child’s school may have someone who can help as well. Thank you for the article Carrie! My son was diagnosed with Autism at 4. What a world we live in! I just want to speak from my experience. Everyone has a specialist to see etc. Fancy names for sensory issues. From age 2 we could tell our son had plain old too much energy! He is a little boy. Burn him out. Simple. He played outside, we met his sister on the loud crowded playground after school,trampoline, slide, hockey on the street, ran with the neighbourhood kids etc. Hollerered and screeched . He was motivated to communicate. get what you get, go with it! This is wonderful, thank you! It is so important not to get wrapped up in the diagnosis. Thank you for sharing your story!! Carrie, great article! I’m nearly 40 and have always had the foot shaking syndrome as long as I can remember. It happens while sitting, while laying down, and I am generally fidigity, but mostly in my legs and feet. It’s not all the time, but it’s at least daily. I’m also very tactile and love touching things to understand them. Does this sound like sensory processing disorder? I think we all have tendencies like that. I don’t think it becomes a disorder unless it interferes with your daily functioning. Hi…I have a 12 year old son with autism. He is in grade 6 in a regular class and doing well with minimal support. His stim is to re-enact video games with his hands including sound effects! As you can imagine this is distracting in the class room and noticeable when out in public. We have tried fidget toys, sitting on hands,etc. I want him to learn not to stim in public (He’s been told to shut-up by other kids) but to wait until he is in a private place. We (his teacher and I) are considering a couple of options: Hand weights that are worn like wrist guards, sleeve-like arm weights, or wearing a colourful ‘bracelet’ that whill remind him to stop when his hands flash in front of his face. He also likes to skip when out walking so i’m thinking there is a sensory thing going on……any advice would be welcome! Hello! 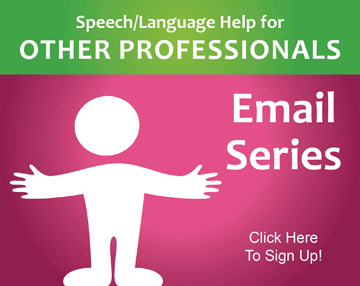 Unfortunately, our licensing board prohibits me from providing treatment ideas for specific children via correspondence (without meeting the child) but I can give you some general strategies I have tried in similar situations. I had a child who constantly made sound effects so we wrote him social stories about when it’s ok to do those and when it is not ok. Once he knew the rule, he was better able to self-regulate with some small reminders (like a reminder from the teacher or visual reminder like what you’re talking about on the wrist). For this child, we noticed that it happened more when he was bored in class and not paying attention to the teacher, so we found ways to get him engaged in what the teacher was doing and gave him jobs to do during those tasks (like questions to answer or notes to take) to keep him from getting bored. This goes back to knowing the function of the behavior, why is it happening? If you suspect sensory issues are underlying this problem, you should consult an occupational therapist or someone with special training in sensory processing. Hi! Our son does the EXACT se thing. The older he gets the more he seems to do it. We are definately going to find an OT to try and help. I have a 5yr old, he moves his hands up and down in a waving form. His teacher says that he stops in the middle of whaever he is doing and does that repeatedly. He doesn’t realize he is doing this until they call his name, does this make my child autistic? No, that symptom alone does not mean that your child is autistic. In order for a child to receive the autism diagnosis, he must have MANY symptoms together. I recommend that you speak with your child’s doctor if you are concerned. My son started raising his hand to his face and is 3. Does your son still do this? If you are struggling with this and the strategies listed aren’t helping, I would recommend seeking help from someone experienced in sensory processing, such as an occupational therapist. You can also talk to your pediatrician. I have a 19 month old that engages in multiple repetitive and stimming behavior, things like spinning himself, rocking back and forth, swaying foot to foot, running in circles, biting his wrists, slapping his face, excessive scratching until he’s raw and bleeding, hums, screams, makes vocal clicking sounds…always something between the works! Any suggestions, and what do I tackle first? Unfortunately, I cannot tell you specifically what you should address since I’ve never met your child. I would recommend that you speak with your child’s pediatrician or a specialist who knows about sensory processing, such as an occupational therapist. Good luck, sorry I can’t be of more help! Unfortunately, I cannot give you specific advice on your child since I do not know him. I think it’s a good sign that the neurologist said everything looks good. You can always check with someone who is trained in sensory development, such as an occupational therapist or specially trained chiropractor if you’re still worried. yes the teachers say it may be stimming but i dont know what specialtist to see what do you refer? also as times goes by does it go away? Some children do grow out of stimming, some do not. I would recommend seeing an occupational therapist or someone trained in sensory development. You could also speak with your child’s doctor for a referral. Hi. This post was very thorough and insightful. My 28 month old was born very premature, 24 weeks. Since 9 months shes been self stimulating sort of like masturbation but not quite. She will lay on her back and tug on her diaper and move her legs up and down. Theres no genital manipulation. Its excessive and she does it when shes going to sleep or when she wakes up. Basically when theres no stimulation around. Shell also do it in the stroller o car if we stop moving. She doesnt like to be hugged and LOVES textures, swings, spinning, bycicles and motion. Do you think this could be something sensory? Thanks! I can’t say for sure what’s going on with your child since I haven’t met her, but if you are concerned about sensory issues, you should definitely speak with your child’s pediatrician or someone trained in sensory development, such as an occupational therapist. I have the same concern with my daughter. She is also a preemie and has been doing this since 7 months. She is 9 months now. I am very concerned with this. Hello! If you are concerned with this, definitely check with your child’s doctor! My daughter has been doing this for a couple years (She will be 6 in April 2015). It is only when she is playing with her Barbies or is excited about something. Does the behavior self correct over time? We always encourage her to stop “flopping”, as we call it, and clap her hands or squeeze her hands together. She does not show signs of autism and we are not worried about that. If there are no other concerns for your daughter then there is no need to worry. 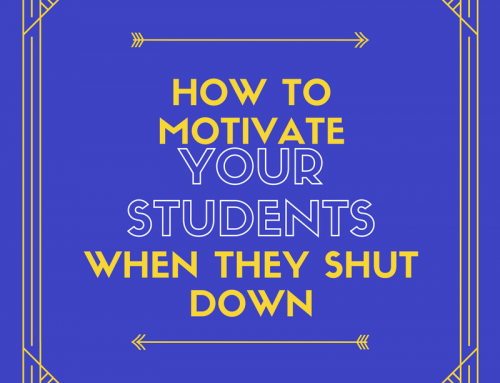 These strategies are just for those who feel like the need to do something about it. Many kids will grow out of it. If she doesn’t grow out of it and it becomes a problem socially, you can always address it at that time. My daughter who we adopted suffered a skull fracture at 3.5 weeks old. She has a biological brother who has autism. She has beat a lot of the odds the doctors didn’t think she would do. For the most part she is a pretty normal 4 year old. Slow start but has been released from everything except speech. She didn’t start walking until 16-17 months and was a tippy toe walker. We broke the tippy toe walking by reminding her to not do it. When she is nervous, upset, or excited she flaps really bad and tends to go into her tippy toes if standing. She started talking a lot clearer and more words around October and seems more confident. Now that she is talking sentences she has began stuttering. My other concern which she is getting better with the schools help is her pickiness of certain foods. Ice cream, puddings, yogurts and gravy anything soft like that she refuses to eat. Also foods like donuts, muffins, cupcakes, corn bread, biscuits she will not touch. She will eat a roll or slice of bread. She loves fruits but only likes corn as a veggie. We have discovered she may have slow processing time when asked questions and such. The school is also seeing this. The Autism specialist at school doesn’t believe she is Austistic. She says her eye contact and social skills are too high. With these other concerns what kind of specialist would be best to help me figure out what is going on with my daughter. I’m tired of hearing to just be happy with her as she has come so much farther then anyone thought she would. If this is how she’s going to be fine. I just want to make sure I’m not setting her her up to fail in school if there is interventions I can do to help her succeed. I’m just not sure which direction to go, what specialist should be testing her? Any help would be great!!!! Thank you so much for providing me easy to locate and understand info on a topic I’ve searched for previously with little to no luck. I have a 13 year-old daughter who has LD. Every since she could sit alone she would rock against a wall/door if she became bored or excited. It didn’t really raise any red flags for me until she added bagging her head HARD against floor/walls/door at around. 18 months and continued until about 4 1/2. Even though she attended preschool she struggled to keep up with her peers and was held back in kindergarten at her teachers recommendation. She continued to have difficulty keeping up and had testing done through the school at the end of the 1st grade school year which determined learning disabilities. I was familiar with this process as my 18 year old son was also tested an determined to have a learning disability at the end of his 1st grade year. (on a side note he also tested gifted 2 yrs later) She continued rocking at home when bored or frustrated but no one from school had ever made mention of it. At the end of her 4th grade year her special ed. teacher said she noticed her doing it during test taking but it gradually became more vigorous almost violent to the point of drawing the entire classes’ attention. When she finally became aware that the behavior was not normal and the other kids were not doing it or anything similar she became very self conscious about it yet could not control it. This is the 1st time she heard another student say anything to or about her rocking as a negative way or as something to be embarrassed by. I had long been awaiting this and tried preparing for this inevitability. I made an appointment with my sons’ psychologist(he’s also ADD) he diagnosed her with anxiety and ADHD and perscribed her meds for both which did help slightly where she does it less often and in a calmer manner. Now in 7th grade and her 2nd year of middle school, she continues to be bothered that she does it and cannot make herself stop and is super self conscious by comments made to/about her by classmates. She was approached by a waiter this weekend who noticed her rocking in the restaurant who told her he was in his thirties and still does it. Knowing there was another person in the world who did the same thing was incredibly uplifting for her. So today she asked if there was a name for her rocking since “it’s not uncommon and there are a lot of people out there that do this too”. I’m so excited to share your information/website with her and to try out some of your ideas for less noticeable options. Thank you and I appreciate you so much! Could spitting be part of the S.I.D? If so are there things I can help replace the spitting? Do you have suggestions for arm swinging (like helicopter propellers)? My 10 year old (autism) swings his arms like a helicopter frequently throughout the day, mostly when walking. This really just started a couple of years ago, though he’s had different sensory behaviors in the past (went to OT, did Wilbarger protocol for 18 months). He’s going to be a tall kid – already 5 feet -so this arm swinging thing is not good! I’ve already said we can’t do it in public places that are crowded (i.e.-grocery store), but he did it at pool yesterday & it is off -putting to others – physically you have to stay clear of him or you’ll be hit by the helicopter arms. Any suggestions? We have 2 trampolines (indoor & outdoor, do gynastics, and swim regularly). This hasn’t helped. Thank you!! That behavior sounds like a spinning input. Have you tried putting him on something that spins? You might try an office chair that will spin around or a tire swing hanging from a tree. This is not my area of expertise so this is just a total guess but it’s possible that he is looking for some spinning input and giving him one of those other methods would meet that need. Sorry I don’t have any other ideas though, maybe talk to that OT again! If your child is non autistic but in engaging in voluntary movements (meaning they can consciously stop them) I would urge you to check out the Johns Hopkins website on this topic. 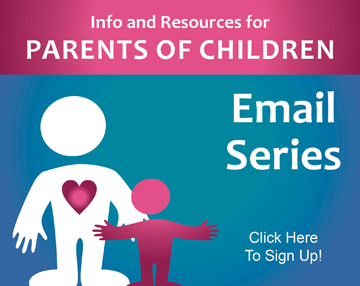 They have lots of good resources, including video, on how to explain to your child what is happening and how your child can explain to others what is happening. There is also a facebook group for Complex Motor Stereotypies which offers great support. Oh that’s great information, thank you!! My son will be 6 by Dec. He was jaundice at birth and he shakes alot. It’s affecting they way he writes n he can Hadley sit on place for too long . What can I apply on gim to stop shaking. Hi! That sounds more like a neurological or muscular issue. I would consider speaking with your child’s pediatrician about that. It may not be sensory related. My granddaughter that is 7 now has been shaking her arms since she was a toddler, she does it when she is doing something watching videos, playing its seems like its getting worse but doctor said she is fine. Never have I seen a child do this. Hi there! Since I don’t know your granddaughter, I can’t say for sure if it is a problem that she is doing this. If you are concerned, you should seek the advice of someone who is trained in sensory development, like an occupational therapist or a chiropractor for children. My son does the arm flapping thing from excitement which doesn’t really bother me cause it doesn’t hurt him or anyone else but he also gets so excited sometimes that he cries. Also If someone gets over excited for him example grandma and him are racing and grandma says yay you won and jumps up and down excited for him he starts crying. It seems as though he has so much emotion and he doesnt know how to process it. If you ask him why he’s crying he says he doesn’t know. This happens sometimes during TV shows or just too much excitement chasing friends and whatnot. Any ideas? I’ve tried giving him breathing excercises to calm down which helps him recover but doesn’t stop the process from happening. Will he outgrow this? Hi, April! I haven’t dealt with that specific situation before so I don’t have any thoughts for you. Have you checked with your child’s pediatrician to see if he has any ideas? My son does arm flapping and jumps up and down ( kind of a bouncing) at the same time when he is excited. It’s usually during play with airplanes or tractors, but can be in anticipation of doing something fun. I have otherwise ruled out autism in my mind because he is fully functioning in other areas and I did an m-chat questionaire. This is our only area of concern. Is it common for the flapping and bouncing to go together? He does not flap his arms unless he can bounce as well, so he will actually get up from the floor if he’s excited and start doing it. He’s 3 1/2. thanks! Bouncing and flapping can both be ways of getting extra sensory input or showing excitement. If it’s not interfering with anything (social interactions, ability to focus, etc.) then it’s probably nothing to worry about. If you’re concerned though, you should always check with your child’s pediatrician or someone who has training in sensory processing, like an occupational therapist or a chiropractor. 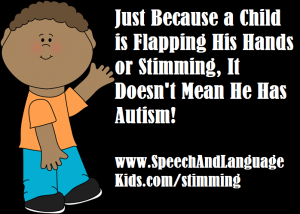 Comment…please my son flaps and dance but i started using “no flapping it’s not good” at a time he stopped but i noticed that it’s only when I’m with him and if another person tells him no flapping he would not stop. so please measures can i take to make him to obey others. he is 8years now. It’s important to find out why a child is flapping. If he is flapping because of sensory problems then he may not be able to control himself. It also could be that stopping the flapping is VERY difficult for him so he’s not able to do it when he’s out in public or in stressful situations. I urge you to find out why your child is flapping by consulting with your child’s pediatrician or someone who specializes in sensory processing, such as an occupational therapist or a chiropractor. Comment…hi, my son at 8yrs though his is not verbal yet but he is always on the floor rubbing his hand on the floor both rough and smooth floor. so i am confused, please what are the measures to apply to stop him from always doing it. I didn’t know that either! Thanks for sharing! People can add this to their list of things to ask their doctor about! This has been such a good read. My daughter (3) has suspected mild autism based on poor speech and hand flapping, which she has done since she was a very young baby. But she only ever does it out of excitement and if I gently say ‘hand down’, she does that. The ‘treat the child, not the diagnosis’ is the most refreshing thing I have read in months of being bamboozled by the amount of information telling me my child has autism. She has no problems with routine, is a great sleeper and eater and is very affectionate. Thanks for all the input here. It’s been a comfort to a very worried mother. I’m so glad this information could help you! There are so many things that could possibly be wrong with our children and sometimes it helps to step back and get just a little perspective! Hello, Firstly I want to say thank you for writing this information. My son is four and half and in Pre K and soon to start Kindergarten .My son has been flapping his hands in excitement since he was a year old. The flapping would occur when he was watching a movie or playing with his toys. As he got older it became more rare that he would flap. Now his flapping is only occasionally and for the same reason excitement. I am able to call his name and distract him and if I ask why he is flapping he says I’m happy or very excited. I have told him at school he needs to clap or squeeze his hands together. We have just started exchanging flapping to hand clapping , and so far so good. I must admit that my son’s pre k teacher took me by surprise during our last parent teacher meeting when she stated that my son exceeded expectations with assessment measure for pre k education lessons. she stated she would even call him gifted, However, his occasional hand flapping and sometimes humming during participating in writing and craft work may lead him to get picked on when he gets to elementary school and or labeled as a high functioning ASD,or ADD or that he may just mature out of his social awkwardness. She concluded the meeting stating she had no real concerns for his approach to kindergarten, that she just wanted to mention the two things she finds socially awkward. It can be said I left the meeting feeling worried and concerned but your blog has comforted me greatly. Thank you for your time. I’m so glad that this information helped you! Please let me know if you have any further questions! Thanks for this helpful blog – there are a couple of points I want to ask about. My son is 14 and has mild autism. He does not have the classic sensory issues apart from being hypo sensitive (does not feel pain easily, takes too much food into his mouth sometimes, likes to be loud and emphatic with his movements etc.) He also flaps when he is happy / excited – he used to jump up and down, now he walks quickly up and down while he flaps. We have never stopped this as we recognise that it is out of his control and harms no one – his teachers have often commented that they love teaching him because when he is excited about the topic they can see it straight away! However this does not seem to be sensory to me as much as emotion-related. I notice that many of the other comments here seem to mention flapping when happy only, not for other reasons. My son is cognitively able and sociable (loves hugs, has good eye contact etc) but his main problem fitting in (apart from other people’s reactions to his flapping) is that when he is frustrated he hits whoever is near him. I see this on a par with his flapping as a physical reaction to EMOTION (not sensory overload) that he is not in control of. He is immediately sorry and when questioned why he does it says ‘I was anxious’. I would be interested in knowing if there was any research into this kind of behaviour, or the link between flapping and hitting. To stop these behaviours it seems to me we would have to find out what makes him happy and take that away (NOT!!) or find out what might frustrate him and pre-empt that, again, not realistic in the real world. If there is anyone autistic reading these comments who had these problems and found a way to cope, I would be really interested in knowing how they did it – did they just grow out of it? Hello there! Thank you so much for your comment. I don’t want you to think that I’m saying we need to take away the emotions that cause these behaviors, as that would be inhuman, but rather, if the behaviors are a problem then we need to show them a different way to express that emotion. For older children, like your son, I typically let them decide if they’re OK with non-harmful stimming, like flapping. If he sees it as a hindrance to being able to make friends and he wanted to change that, then I would help him figure out a different thing that he could do to express when he’s excited that would get that same need met. For the hitting, that one seems to be harmful to others so I would try to help him figure out a different way to express frustration that will give him the same type of sensory input without hurting other people. For example, if the hitting appeals to him because he needs some input to his hands, he could try hitting a pillow or squeezing a stress ball. Or, if the hitting appeals to him because of the emotional reaction he gets from other people (subconsciously, I’m not saying he’s mean! ), then the replacement behavior could be learning how to use words to express his frustration to others so that they can sympathize and help him. I hope that makes sense! Hi just wanted to comment to moms of younger children… My son is 13 now..listen to your gut feeling! If you feel you should find some therapy or another doctor do it now… So many years we were told… Oh your son will catch up by teachers..( has expressive speech/ , low IQ/ learning disability- mostly reading, socially awkward, hand flapping type behavior with excitement anticipation)… Until it came to a point about 4-5 th grade he didn’t catch up… And the behaviors don’t go away… We just have telling him to stop doing them every time he does them so they have changed slightly and decreased… So now he is 13 and I spend my free time trying to self dx him.. He has had a neuropsych test… But to me it’s just a piece of long paper.. I feel doesn’t tell us how or where to get help. Thank goodness he has always had iep in school, speech therapy in school. Not sure really what we need or where to start.. Now that he is 13 ,We have probally waited to long to get outside therapy.. I am glad to hear that hand flapping dosent mean autism, I often wondered that. But I would think in 13 years someone would had said something.. It hard when your kid dosent really have a label, but yet he is different….a neurologist once told us to just focus and push him in the direction of his strengths. That’s it. She said you could waste all your time, money and still never know why he is the way he is?? So we have always been conflicted on trying to do ‘more’ or let it be..
Well hopefully this helps someone or if someone has child / situation similar sounding to mine we can compare.. Thank you so much for sharing your story! I’m so sorry it’s been such a hard journey for you! Its is a good read and helpful to understand more on hand flapping. My son is 2.5 yrs old and he does lot of hand flapping usually when excited. He is usually a good sleeper, eater and affectionate. He was not social before, now he loves going to day care and sits in circle time. He is getting a Speech therapist, SI and Occupational therapist twice a month. We been lot of changes in him. But, they are suggesting to get his CATCH evaluation done. What would you recommend here? Me and Husband feel it might be too early for him. Do you recommend to get the evaluation done now or after his 4th birthday? Hi! I’m not familiar with that test. What about laying face down with his arms under his chest while opening and closing his legs? It’s confusing to me as to what I should suggest in my son’s case. I’m so sorry you’re concerned! Please speak with your pediatrician if you are concerned about your child’s development in any way. They will be able to help you better than I can over the internet. My child is 3 years old, he flaps his hands but it happens as a result of an excitement he gets while playing his favorite games or watching specific advertisements or kiddy shows on TV. Neither to all advertisement he does that nor to all kiddy shows. He is very selective on his movement but yes other kids of his age doesn’t do that as a result of an excitement. Please let me know if this case fits into this Self-Stimulatory Behaviors. Also he doesn’t speak I mean cannot make a statement or chord a conversation like his classmates do. He goes to a playgroup where his friends will be able to make some conversation with their parents on what was taught in school on given day; my kid doesn’t do that. He speaks one to 100, able to say routine words (or statements like, “its not yours”, “Ok come and seat” sort of), help me to know if this is some sort of disorder and this situation has any relation with flapping of hands. Another unusual thing noticed is that he doesn’t look tired at all, even after hectic day’s schedule, outdoor activities he looks very energetic, again comparing with his friends or kids of neighbors who have played same amount of time tends to look tired and sleep but my kid looks very fresh and it’s a sort of special task to make him sleep. In middle of night he wakes up again and again will need to make him sleep. He completes 8-9 hours of sleep in a day which looks normal but the never ending energy in his body is sometimes doubtful. Please let me know if above all explanation has any relation to an autism or an SDP or Self-Stimulatory Behaviors. Your kind suggestions will really help me, thanks a lot for the lovely article. I am surely going to help my kid engage in alternative methods while he gets excited and flaps his hands. Hey there! Unfortunately, our licensing board says that we are not allowed to “treat via correspondence”, which basically means that since I haven’t worked with your child directly, I can’t state my opinion on what’s going on with him. I do recommend that you speak with your child’s doctor! If anyone IRL tried to stop my son stimming of flapping or implied that I should stop him, I’d probably have a rage blackout. I read your disclaimer, but personally I wouldn’t want my child being friends with kids who would judge him or others based on hand flapping because they don’t sound like they’d make very good friends. Remember folks, flappy hands are happy hands. I completely agree with you. But there are some older children who do want to control flapping or stimming to fit in socially. I’m not saying that it’s a good thing that children judge others, but those pre-teen years can be hard for anyone, let alone children with special needs. I think that this should be something that a child decides for himself and if it IS something he wants to change (even if it’s just to fit in), then it’s important to have options. I agree. I’m an adult and someone tried to stop me from stimming once. I was at the fair with my partner and he grabbed me hands and told me to calm down. I nearly had a melt down. My partner had to remind me several times that it’s okay to stim before I was comfortable enough to do it again. The only time I felt I wanted to stop stimming is when I was a child and adults demanded that I stopped. I have 9 month old daughter which is born on 36 weeks and 6th days. After she completed 7 month she started to flipping her one hand finger all the time. now she complete 9 months and her this movement is more frequent than before. Hello! Unfortunately, we cannot tell you specifically what your child needs since we have not worked with her directly. If you have concerns about your child’s behavior, I highly recommend speaking with your child’s doctor. I’m so confused by this article. Why would I want my daughter to stop flapping? It brings her joy. It calms her down. There’s nothing inherently wrong with flapping as it’s not self harming and it doesn’t harm others. I think it’s awesome she has found a way to self-regulate her emotions. So what exactly is wrong with flapping? My son is currently 4 years old. We have been taking him to Speech and Occupational therapies. Initially therapists thought he was in ASD Spectrum due to his stubbornness and while they worked with him for couple of weeks they found he is a normal kid with Delayed Development. He has shows significant improvement in learning and speaking to an extent that he can sing rhymes and describe actions performed by others. Can you please suggest how we work with him to minimize these 2 behaviors of my son? Thanks for your help in advance. I have reviewed other articles on Echolalia and started implementing on my son to improve his understanding and expression skills and they are working fine on him. My two year old son flaps quit intensely when he’s excited for example when his cousin comes to play so it stops him being able to play with him as he’s so excited when he’s near him or when he’s sitting next to his sleeping sister he slaps her in the head because he seems to not be able to control his hands. He doesn’t seem to be able to control his fingers properly when playing with toys also he can’t press buttons on toys as he doesn’t seen to have the strength in his fingers. He also doesn’t speak much at all. How can I help him as he doesn’t see any professionals. Hello! My son is 6 years old and he has high functioning autism, his stimming is running (rather skipping) back and forth, upper torso completely relaxed. We attended occupational therapy for over a year, but it did not help with that particular issue. It happens at randon times, regardless whether he is tired or physically exhausted or not. I would like to have some undestanding or idea what possible sensory processing deficit could he be compensationg for? His other stimming is repeating over and over vaarious mechanical sounds and conversations he heard earlier during the day. No offense but I’m an adult with autism and I will never stop stimming. It helps me cope, it helps me express myself, and it helps me be myself. If a child is stimming in ways that are harmful, help them stim in ways that are not harmful. Never make your child stop stimming all together. Please. You don’t have to change your child. And my daughter is about to be two years old she dose a lot of hamd flappong and spinning around she also walks on tipie toes ….she dose not talk at all …but she dose interact and play with other kids she sometimes respond to her name but not always ….should i worried this might be autism? I noticed the same things at that age with my son who is now almost 10. The tipie toes and the hand flapping I can relate to. I would probably have her tested for it. I have a student who repeatedly burps. He does tend to do it when sitting and when he has to do school work. Any suggestions for a replacement behaviour? i Have a 5 year old grandson who flaps, when he does its only during mat time at school or when hes concentrating. Hes in a normal school how ever his teachers have raised concerns. He make a squeaking noise and goes somewhere while hes flapping. We say to him Connor stop flapping he stops immediately and comes back into the conversation. How ever his parents are going through Divorce they separated last November\.We noticed from this that the flapping has become more regular. Do we need to get him professional help. He makes friends is very social good at school is attentive. Shows empathy is loving and kind. My 3 year old toddler flaps his hands when he’s excited about something or he’s about to get something he loves? What can I teach him to replace that? Thanks for the article & for taking the time to write it. My foster child is nearly 14 and his stimming has progressively become more prevalent. 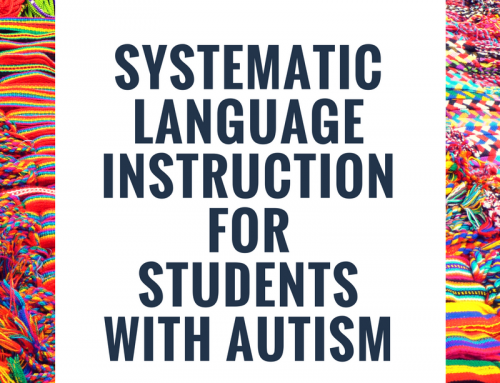 He is non-verbal & profoundly autistic so communication is a major challenge – both ways. His dominant stimming behaviour has no trigger, it’s constant from waking up to falling asleep & distraction just doesn’t work. The behaviour I’m referring to is “tapping” on different surfaces within the home. The home has become like a drum set to him it’s mainly windows, doors, kitchen counters, but it can be the floor, walls, armchairs or cushions – literally anything; and I have to be honest it’s become incredibly challenging to deal with. The repetition and noise is like a torture! I have no idea how to reduce his need for this input and how to begin to give him other options and find myself becoming frustrated and annoyed to the point where I bark at him; I know it’s not his fault, but there’s only so much a person can take. When I do “tell him off” he seems to understand because he will often change to an alternative behaviour such as rocking, which I don’t mind because his armchair is very well padded. I just don’t know where to turn for help. Any ideas please? Thank you. My son age 10 flaps at school a lot. He has sensory tools that he is to use, but he tells the teacher that they are not working. The teachers complain that he is flapping all the time, and I am so tired of hearing it. So he flaps- what is the problem? They know he has sensory issues and but I have to tell them to get the OT to come change the tools. I guess what I am asking is how do I help train him to know when he needs his tools. He doesn’t always realize he is flapping his hands til he is already doing it. The teachers say it distracts him and others. Ugh! 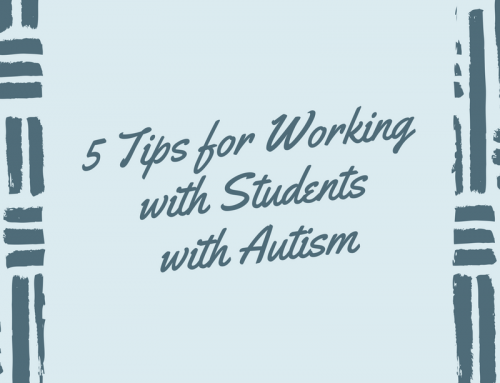 I’m not sure how to help you but my son is also 10 and is about to start spending 1 hour each day in a class with students who aren’t on the spectrum. Up until this point he’s been in a class with other kids who have some sort of disability. The school tried to ease him into a normal setting two years ago but wasn’t too successful. I only have a week but is there anything I can do this week to maybe help prepare him for this transition? He doesn’t have a problem with flapping his hands but I worry about him getting teased and bullied. Sorry I wanted to mention. He seemingly does this when he is excited or when he feels the need to get up and move around. Would hair twisting/touching fall into this category or sensory need? My eight-year-old starting playing with/twisting (not pulling out) his hair over the past year. I’ve noticed it when he gets a little nervous or bored. My 5 years old autistic boy started to move/swing his head the the left side from time to tome especially during meal times..what can i do to stop him? This is a great article, very eye opening. My 5 year old son flicks his head and jawline in a rhythmic way with both hands and it’s getting worse, I am wondering what I can do to stop it as it happens all the time. He’s totally normal apart from that. I’m starting to panic and get anxious as his flicking is increasing and his teachers at early kindy have commented on it and I feel like there is something I have done to cause it or haven’t done something he needs. Any ideas how I can help him with this? I’m actually a teen with autism and I stun by running and shaking pencils in my basement. I like it but it’s also terrible at the same time. My child is almost 10 years old. He was diagnosed with autism between the ages of 3 and 4. Early but I wish even earlier. He has steadily improved over the years. Very smart and seemingly doesn’t have trouble learning in school. Does well in all subjects. He speaks and reads very well. Doesn’t sound like a typical 9 year old if you ask me. He can hold a conversation but sometimes he loses eye contact and seems to struggle to get back or stay on the subject he was talking about. The big thing with me is his hand flapping. It was the first thing we noticed at an early age. It hasn’t stopped or gotten better over the years. However, I don’t think we as parents and his IEP program have focused enough attention on that. His school wants him to start sitting in with the regular 4th graders for 1 hour starting next week. We tried this two years ago and it didn’t work too well. Hopefully he’s ready but I’m so nervous about him getting teased or bullied for his hand flapping and the faces he makes when he does it. He’s so kind hearted and sensative. I just pray that it works out this time. I’m on the website hopefully to get some help on how I can help him with his hand flapping and what I can do to help him adjust to his new environment. Again it’s only for 1 hour but it’s every day so I’m just hoping and praying for the best.